HomeConstitutionOur Founding Fathers: A Perfect Plan or Fatally Flawed? How did we go from true Liberty and unalienable rights to almost complete oppression in 241 years? A Perfect Plan or Fatally Flawed? Over the Independence Day holiday, I decided to go back and study the history of our Founding Fathers and re-read our founding documents. As I was researching, one thing became so clear to me. Our founders were fearless men with unbelievable vision and foresight. 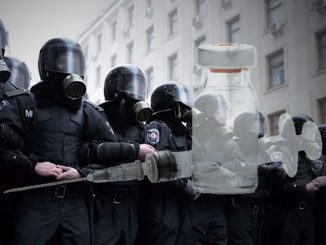 They were determined to create a new form of government that would always remain under control of the People, rather than the People being controlled and oppressed by it. They were willing to die to achieve it. Let’s take a quick look at some of the key points and protections they included in forming our government. Did you catch that? The new government was to ‘DERIVE ITS JUST POWERS FROM THE CONSENT OF THE GOVERNED’ (The People!) and when it “BECOMES DESTRUCTIVE TO OUR UNALIENABLE RIGHTS (life, liberty, property) IT IS THE RIGHT OF THE PEOPLE TO ALTER OR ABOLISH IT’. Clearly, they had the foresight to know that greed,oppression,and tyranny would always be the nature of the beast. They protected We the People by stating that we were to be in control and it was our DUTY to vigilantly protect and enforce our power over it or even to completely overthrow or abolish it if necessary. This is right at the top – a warning and a prescribed duty to and for the People. Let that sink in. Our founders clearly laid out all the terms, duties, powers and limitations of our Government officals. 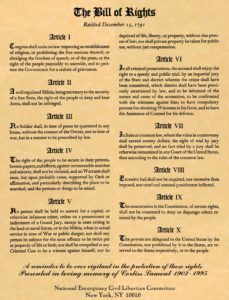 The first 10 Amendments to the Constitution specifically lay out the rights and guaranteed and secured freedoms and liberties of the People. As I read this, all I could think was, how much thought they put into coming up with the perfect plan- the perfect government- perfectly secured rights and freedoms for us all. A new country in which each person is equal and we share equal control and responsibility over our government. Wow. 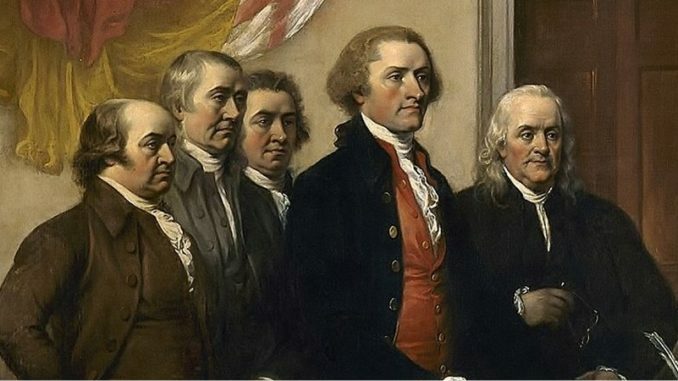 On Independence Day, I spent a lot of time thinking of our Founding Fathers. Not as historical leaders but as regular, everyday men. I thought about what it must have been like for them to live under such tyranny and oppression, their hopes and dreams of something so much better, and their willingness to fight and die to achieve it, all so they could ensure that future generations would never have to experience the things they had. I, also, couldn’t help but notice that the country we live in today bears no resemblance to the one they fought so hard to create for us. How did we go from true Liberty and unalienable rights to almost complete oppression in 241 years? What changed? Here’s the simple answer. WE DID. We the People changed. We became lazy, unaware, disconnected, distracted, and passive. We stopped doing our part in holding on to the power we were given. We stopped being vigilant. We have forgotten our country’s history. The Founding Fathers gave us one duty – ONE – and we are failing miserably in it. Look at the part they wrote at the bottom; “…all experience hath shewn that mankind are more disposed to suffer, while evils are sufferable than to right themselves by abolishing the forms to which they are accustomed”. A clear warning that people have a tendency to sit and suffer rather than work to remain free. They put it in writing and we STILL didn’t get it. They trusted us to carry out their plan and we are failing them and ourselves. 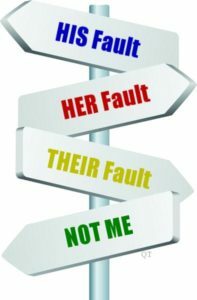 It’s human nature to want to blame our problems on someone or something else rather than take responsibility for ourselves. Every day I hear people blaming our government, our courts, our military, and our police and claiming that it is they who are responsible for our oppression, but are they really? Think about it this way…you have a parent whose responsibility it is to teach their child and raise them right. If the parent slacks off, gets caught up in other things and stops paying attention to the child, what does that child do? They test their boundaries. They push the limits. When no attention comes from it, and no discipline is given, the child soon becomes completely out of control, and has no concept of boundaries or accountability. Is it the parent or the child’s fault that they turned out this way? This is what WE have allowed to happen with our government. Now people are fed up, frustrated, and just plain mad and they are ready for an all out war, if that’s what it takes, with all whom they believe to be responsible for our current oppression?! Seriously?! “They” are not responsible- WE ARE! We put ourselves in the position to BE oppressed! We’ve lain down like a cheap rug and are now angry that others are walking on us?! Get real. War isn’t the answer to this mess. Now, before you all jump on me, saying that our Founding Fathers accomplished a lot by going to war, let me ask you this…..If that’s true, then why are we now in the exact same position they fought a war to get out of back then? War may bring about an immediate change to a problem, situation, or circumstance, but it often turns out to be only a short-term fix rather than a long-term, lasting solution. I don’t have all the answers, but it seems to me that a true and lasting solution to our real problems lies more in education than war. Why are we in our current situation? It’s because we stopped doing our duty. We have forgotten our country’s history. We have forgotten the way our government was set up. We have forgotten that it is WE the People who are in control. 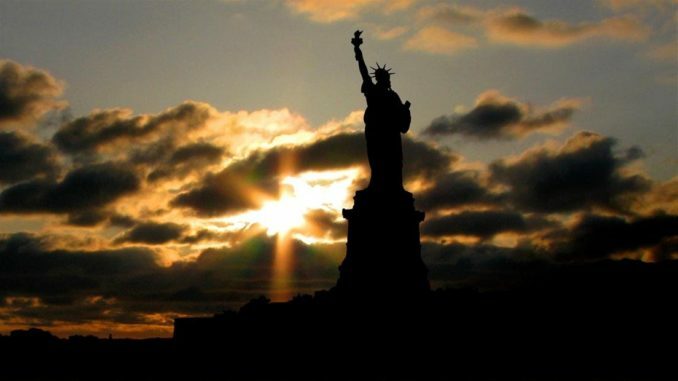 We have forgotten what it truly means to be an American. We forgot to teach our children what is truly important. We should all be reading and studying these things and teaching our children and Grandchildren. We need to demand that they are taught in every grade of public school and college. We need to be talking about it with our friends, families, and neighbors.We need to talk about it so much and so often that it becomes a central part of our thinking. We need to remind each other and ourselves of the tools and gifts our Founding Fathers gave to us that would always ensure our freedoms and liberties. Why do you think the government has taken our history, and our founding documents out of schools and courthouses? They are even taking down our historical monuments! Why? It is because they are THAT important to us! Knowing our history, knowing what’s in our founding documents would remind us that WE HOLD THE POWER and it would mean a quick end to our current tyranny and oppression. The government wants us to forget,it is forcing us to forget, it is erasing history so that our children will never know it, and it is succeeding! Come, on, People!! Wouldn’t constant education take us further than constant war? I’m not saying that a war is out of the question, but unless or until we educate Americans on the important things, we will soon find ourselves right back where we are today. Human beings are fallible. Our founders knew this. They saw first hand what absolute power in the hands of one man, or a small group, could do to an entire People. That is why they set up a new government the way that they did. They knew that creating a small government and giving every citizen power over it would be the best way to keep it under proper control and keep us free from tyranny and oppression. If we started seeing corruption from one or two within our government, there would be an entire nation of people ready to put them right back in place or vote them out. If it started trying to take away our freedom or restricting our liberties, we could stop it immediately. Don’t you see that our true freedom lies in upholding, enforcing, and abiding by our founding documents?! Our Founding Father’s laid the foundation of their perfect plan upon this premise- Power to the People. A small government completely controlled by the People it was meant to work on behalf of. The one potentially fatal flaw in their plan lies with the People they hoped would stay vigilant in protecting and carrying it out. A People who are known to prefer the safety of slavery over the constant fight for freedom. The key to their whole plan was us- the People. Will our actions or inactions, from today forward, prove it to be a perfect plan or fatally flawed? 8 Comments on Our Founding Fathers: A Perfect Plan or Fatally Flawed? Thank you Paula. You have made too many cogent points for a reply in this space, but I’ll add a bit. First though I want to thank you again for your “Freedom Slipped Away” and your warm note. 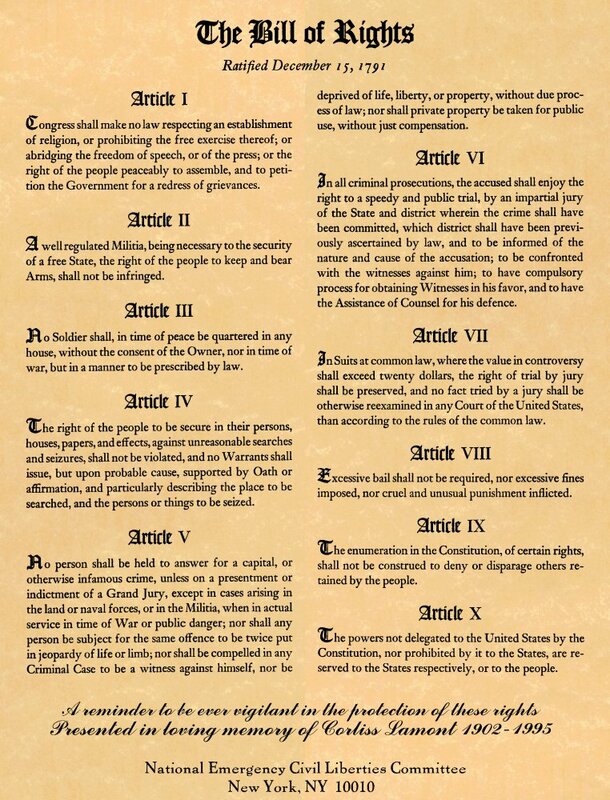 As to our Bill of Rights,I wish the copy shown above had included the preamble, which explains it’s purpose : “The conventions of a number of the states, having at the time of their adopting the constitution expressed a desire,in order to prevent misconstruction or abuse of it’s power,that further declaratory and restrictive clauses be added. And as extending the ground of public confidence in the Govt. will best ensure it’s beneficent institution”…It is unequivocal : the BOR is there to prevent abuse by the Federal Government, and yes, folks, that includes #2. I have some credentials in this fight, including a rare textbook application of 2A..at Bundy Ranch. However.you can’t fight an ideological battle with guns, and a widespread knowledge of the proper relationship between Govt. and the people is the key. You can’t make history sitting down! RE: “We became lazy, unaware, disconnected, distracted, and passive. We stopped doing our part in holding on to the power we were given. We stopped being vigilant. We have forgotten our country’s history. The Founding Fathers gave us one duty – ONE – and we are failing miserably in it. The truth in this comment is almost painful. Look what we have allowed in just recent months: An investigation in the IRS being used against conservative and Christian organizations simply put on a shelf, the same with an investigation into Hillary Clinton’s illegal server and destruction of evidence, the same with the actions following the murder of four Americans in Benghazi, the same with widespread illegal voting and fund raising by democrats, the same with AG Loretta Lynch’s collusion to subvert justice and James Comey’s lying while under oath. Knowing that we have seen the rule of law and respect for authority set aside, we are going about our business and letting the swamp critters carry on as usual. The original constitution was expressly a voluntary association (consent through trial by jury according to the common law before any action by government is authorized by the people) and the original constitution worked to drive off the largest, aggressive, slave trading, central banking fraud, drug pushing, army then on the planet. The second constitution was a crime, and it was a crime according to the official records that are still published as the official record. 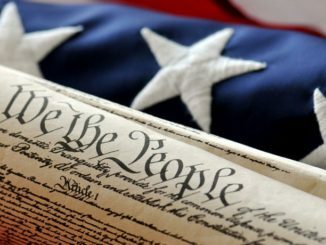 The second constitution – for Christ’s sake – made slavery legal, and it was only flawed in the eyes of people who are against slavery (involuntary association, or government without consent), so why do people completely ignore, or are ignorant about, the actual federal government, before the criminals took over in 1789? Founding slave traders? What ever happened to knowledge of history? …and all thirteen States did Ratify the Constitution (though in five of those States the percentage of dissenting votes was over 40%). Excellent article. But never forget that it is the US Constitution which is the supreme LAW of this land, while it is each state’s Constitution that is the highest LAW of that state. Why do I say “never forget”? Because in every election is at least one, usually more, Amendments to be added to that state’s Constitution, changing that Constitution, that highest law, that second highest Contract that that states people serve under and are Oath bound to. Those Amendments do NOT give the people more state power, or take away from those that serve within that state’s power. In some way it always takes away from the people of that state and puts something, and it may be more then one thing – and what power it takes from the people of that state not obvious at all unless you really consider where it can be taken in other areas. Those Amendments are difficult to remove, repair, etc. Take them seriously. The people that it hurts next, and they always seem to hurt someone, may be you and/or yours. It is also important to remember (or to learn) that we are NOT supposed to have political parties even though they did start early; and the framers had excellent reasons why we would not have them. They referred to them often as “factions”. About our constitutional republic that most may not realize – in the framers words. If you think that they are not doing what is forbidden to them to do look at the dollar, the Federal Reserve, etc. Then look at all the FORBIDDEN, undeclared wars we are in. Thomas Jefferson: “If the American people ever allow private banks to control the issue of their money, first by inflation and then by deflation, the banks and corporations that will grow up around them, will deprive the people of their property until their children will wake up homeless on the continent their fathers conquered”. You observation about State Constitution Amendments being a danger is very real. From 1993 to 2013 in Texas 156 Amendments were proposed with a passage of 139 for a rate of 89%. What Legislator would not want odds of passage like that. Moreover, from 1993 to 2013 in Texas the minimum eligible voter turnout was 5.37% and the maximum was 16.45%…that does not even reach any where near an acceptable quorum…and yet they passed 89% of the 156 Amendments presented to them…as you noted, “Those Amendments do NOT give the people more state power, or take away from those that serve within that state’s power. In some way it always takes away from the people of that state and puts something, and it may be more then one thing – and what power it takes from the people of that state not obvious at all unless you really consider where it can be taken in other areas.”. Inspiring article. And yes, Education and Ratiocination preempt War and Rebellion. So, the “Perfect Plan” was not even the Framers best attempt at creating a Republic…it was the best the 13 ratifying States would “receive”. Which puts another dimension to OUR duty…to live for the best Republic…or just “receive” a Republic…well, I don’t need to be rude or harsh…the point is self evident. In all future Conventions where ever a government is being decided they should create two Charters/Constitutions….one being the best they can do…and one they think the Ratifying entities will receive…and let what will be, be. At the very least “The Best” should get a hearing.